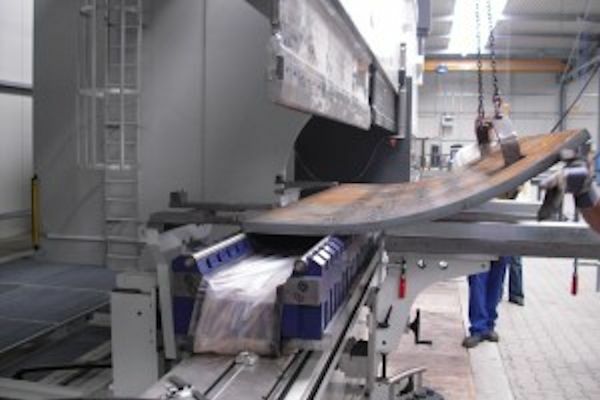 Large, high-tonnage press brakes frequently present unique challenges to fabricators. They normally involve the forming of large, heavy, and often cumbersome parts that may require multiple operators or special sheet support systems to handle them. Similarly, these massive press brakes usually require large, heavy, and often dangerous-to-handle tools that are capable of withstanding the high tonnage loads needed for bending thick materials. Handling these large tools can be difficult and time-consuming and present a host of safety risks to the operator. Read the whole article that is published in the magazine 'Canadian Fabricating & Welding'.